Throughout art history, artists have been exploring questions of the construction and the presentation of the self in a myriad of ways. 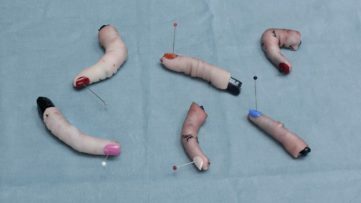 Dealing with the subject of personal and social identities, they construct a sense of who we are as individuals, as a society or a nation, often questioning stereotypes and conventions. 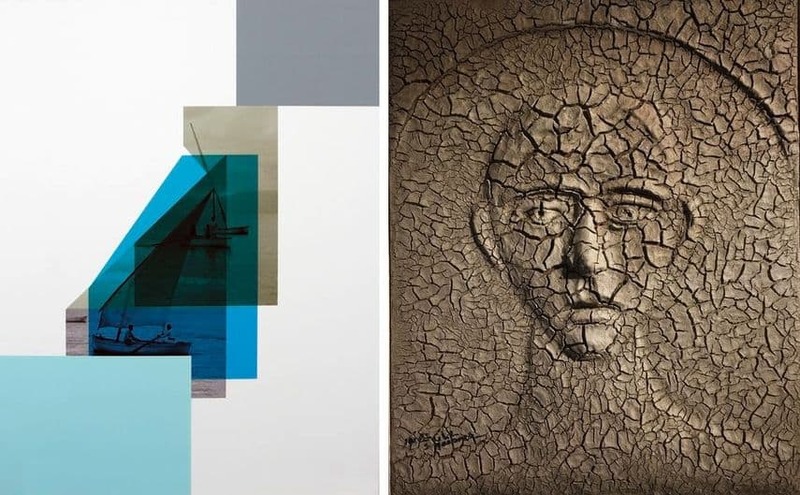 Tabari Artspace will soon host a group show featuring contemporary and modern Palestinian artists who explore the subject of identity through painting, photography and sculpture. Titled El Beit, the exhibition will reflect on the collective experience of lost identity and displacement in Palestine through works by Hazem Harb, Mohammed Joha and Sliman Mansour. These themes are further highlighted by the title of the show itself, which translates in Arabic as “feel at home”. A diverse contemporary artist, Mohammed Joha is best known for his paintings that are imbued with very individual, strong, and expressive artistic means, standing out for an excellent, spontaneous style. 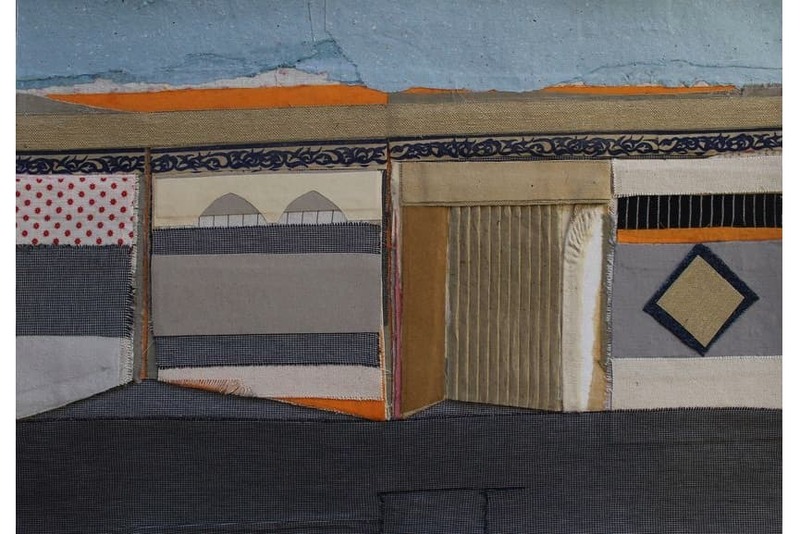 For El Beit, Joha will present 14 collage works on paper exploring the destruction of Palestinian homes throughout the years of conflict. The artist explores themes of childhood, loss of innocence, freedom, identity and revolution by depicting houses both fictional and drawn from his memory. 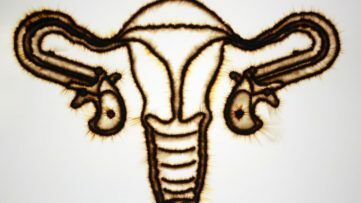 A contemporary Palestinian artist, Hazem Harb explores themes of war, violence, trauma and vulnerability, employing different media to explore power, oppression, and the human body. 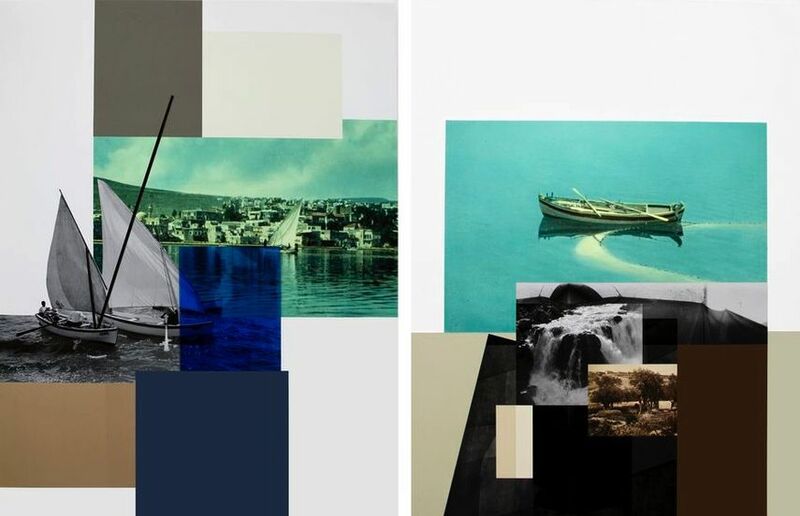 For El Beit, the artist will showcase a series of collages inspired by the lake in the city of Tiberias, a place considered as a sacred area with great significance for Palestinians. 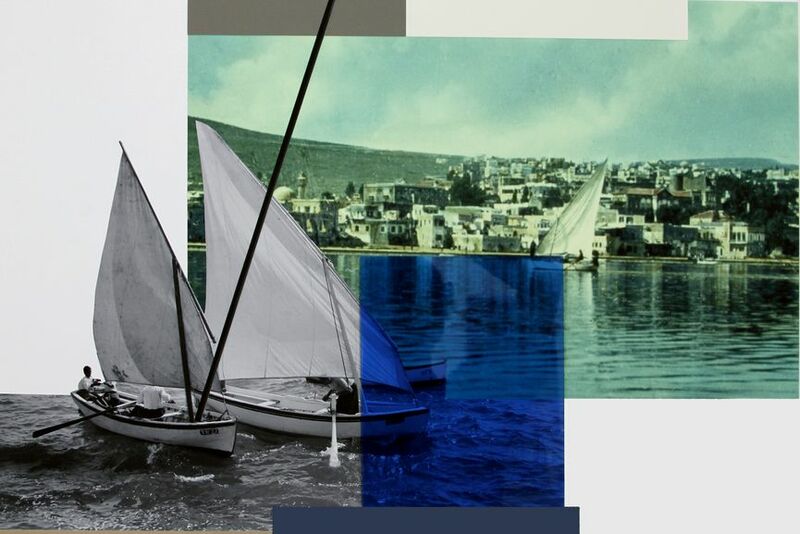 Using a mixture of archive images of the lake and photographs the artist has taken himself, Harb has created collages that deal with the subject of the 1936-1939 Arab revolt. By installing an enlarged archive photograph of the interior of a home at the lake, he has created a domestic setting within a gallery space. 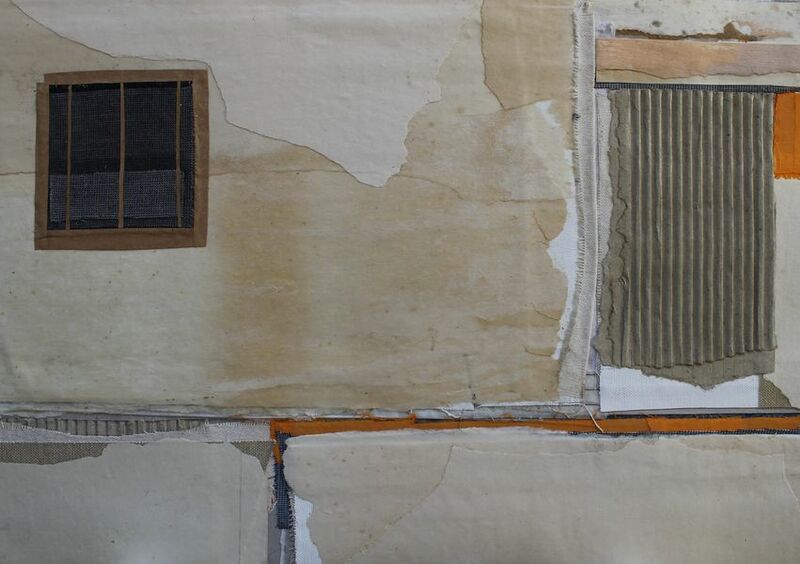 One of the most distinguished artists from the country, the modernist Sliman Mansour creates work that evokes the political struggle and daily hardships that mark the life in the region. 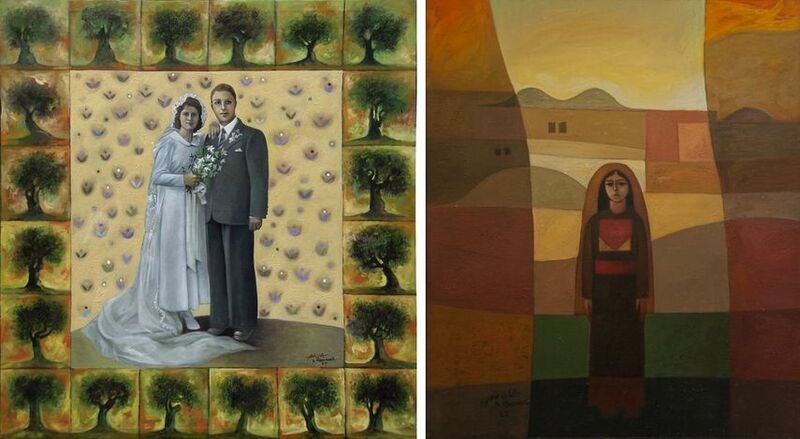 Mansour’s paintings Girl in the Village and Father and Mother on their Wedding Day are displayed atop of Harb’s archive photograph, creating a dialogue between these two artists in terms of re-imagining their homeland. 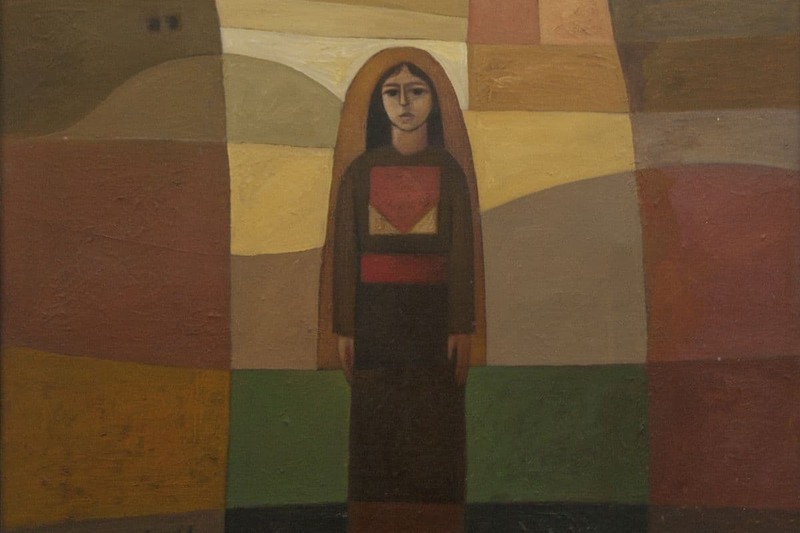 While the abstract landscape in the former Mansour’s painting evokes Palestinian tradition and sentimentality, the olives in the later one represent a symbol of nationality and connection to the land. 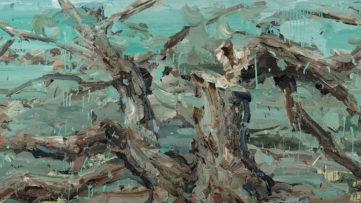 The exhibition will also feature his iconic series of paintings titled Ten Years in Mud. Although diverse in terms of artistic practice and approaches, these three artists all explore the issues of modern Palestinian collective memory and its role in shaping national identity and historic legacy. Through a dialogue between two different generations of artists, the exhibition will provide an insight into the impact of the Palestine-Israel conflict, at the same time showcasing the breadth of artistic practices and perspective in Palestine today. The exhibition El Beit will be on view at Tabari Artspace in Dubai from February 6th until March 8th, 2018. The private view of the show will be organized on February 6th, from 7 to 10 p.m. Featured images: Sliman Mansour – Girl in the Village (detail), 1982; Hazem Harb – Tebariya #01 (detail), 2017; Mohammed Joha – Housing #05, 2017. All images courtesy of Tabari Artspace.